ProRealTime CFD Trading enables trading on all CFDs on indices, shares and FOREX using the best technology: ProRealTime Software Premium version and probably the best CFD Broker, IG (the world's number 1 in CFDs). What is ProRealTime CFD Trading? Why did I move to ProRealTime Trading to trade CFDs? ProRealTime’s CFD Trading service is the combination of ProRealTime Software’s Premium charting platform and the world’s number 1 CFD the world's number 1 CFD Broker. You can get this service by opening an IG account sponsored by ProRealTime. I have traded with IG since September 2011, they are the benchmark broker for CFDs with a fixed spread on Indices, Guaranteed Stops, rapid order execution, mini and full lots, price improvement on limit orders, the possibility to place hedging positions, etc. IG is worth billions and they are the most stable CFD broker on the market.. I have the advantages of trading with IG (brokerage service, order execution, spread, guaranteed stops, even a Web / smartphone interface for placing orders, etc.). But ProRealTime CFD gives me other additional advantages. Here are just a few reasons that made me switch from IG to ProRealTime Trading for CFDs. By moving to an IG account sponsored by ProRealTime you have at your disposal the most complete version of ProRealTime, free of charge. With a direct IG account, I had a standard version of the ProRealTime charting software, now I have the Premium version, free of charge. There are many differences between the standard version of ProRealTime offered by IG and the Premium version offered with ProRealTime CFD. There is more intraday historical data (for example 500 ticks on the E-mini S&P 500, the Premium version provides for up to 15 months compared to 7 days in the standard version. For EUR/USD forex the Premium version offers 16 years of data in a 1 hour timeframe compared to 50 months in the standard version. This is useful when studying charts, to backtest ideas, strategies, etc. and it is essential when using automated trading. In the premium version, you can create multiple groups of linked charts which enables me to use my numerous trading screens more effectively. With 1-Click, I can view the order book charting windows of a specific chart group (charts linked to the same group always show the same instrument). Also, switching from one group to another in a different trading specialization is ultra-simple. I created 6 specialized groups (scalping, day trading, swing trading for my two key trading indices, the DAX and the Dow Jones / Nasdaq 100). It is very convenient to have a multiple screen trading station to switch between groups. 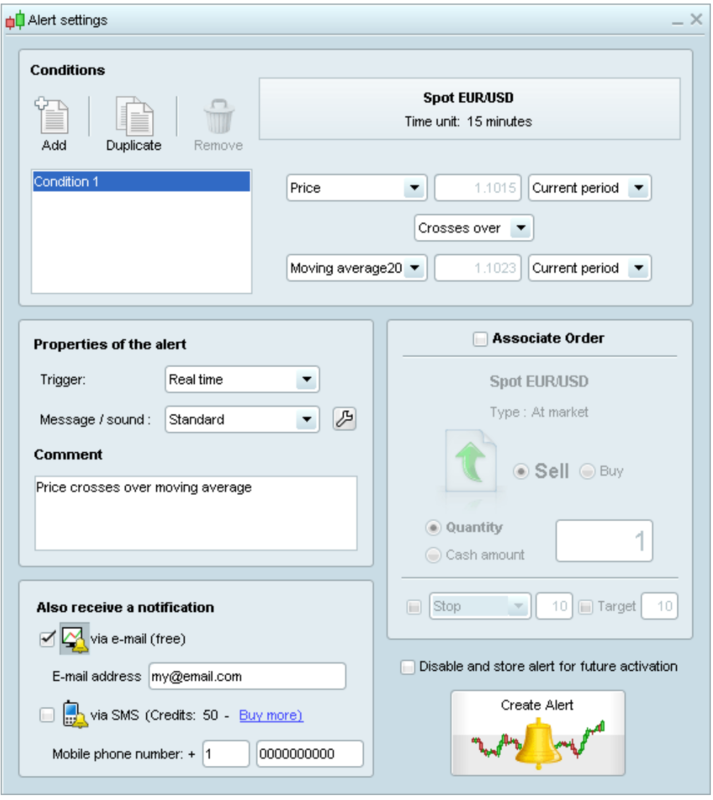 You can place more alerts, with more conditions on more financial instruments. For example, it is ideal for preparing a breakout in advance on a resistance or support at a number of different instruments. With automated trading, your requests for programming help for your indicators are a priority. For the charting platform, customer support representatives have excellent knowledge of the ProRealTime interface respond to your questions. You also have early access to the BETA version. The Premium version of ProRealTime Trading lets you run up to 100 trading systems simultaneously. These run on dedicated PRT servers. In addition, the ProBacktest module is more powerful in that it enables up to 100,000 combinations of variables to be tested. As there is a lot more historical data backtesting is much better than with the PRT's standard version. Backtests are therefore more comprehensive and mathematically more reliable. If you use automated trading, the question of whether to use the Premium version does not need to be asked. There are many differences more differences. Listing them all would take too long for this article. For example, if you like scanning financial markets, you can have 10 lists of prices at the same time with 100 prices per list giving 1,000 prices refreshed in real time. The standard version of ProRealTime only gives you 50. Premium means that you can launch multi-market market scans with 20 times more prices. In conclusion, by trading through ProRealTime CFD Trading, I now have the best of both services in a single account. ProRealTime premium version software is more comprehensive and more enjoyable to use. Convenience is important when spending 12 hours a day in front of the screen. A more comprehensive service for automated trading (more complete historical data, priority support to help me with code development, etc.). Added to this is IG's brokerage and order execution service. Also, the leading interfaces for placing orders and applications for smartphones and tablets are the same for CFDs. Why do I trade CFDs and Futures at the same time? 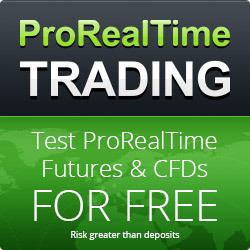 Why do I trade with ProRealTime CFD and ProRealTime Futures? No comment for Opinion on ProRealTime CFD Trading, trading CFDs Be first ! Trading indices: Why is indices trading advantageous? Does money dominate our lives? Warning: Trading may expose you to risk of loss greater than your deposits and is only suitable for experienced clients who have sufficient financial means to bear such risk. The videos and articles on this website only contain general information. They are not personal or investment advice nor a solicitation to buy or sell any financial instrument. Each investor must make their own judgement about the appropriateness of trading a financial instrument to their own financial, fiscal and legal situation.